"The Life of St Columba As Told by St. Adomnan, edited with an introduction by Phillip Campbell. Famous hagiography of the great Irish St. Columba who founded the renowned abbey of Iona from which he brought Christianity to Scotland. 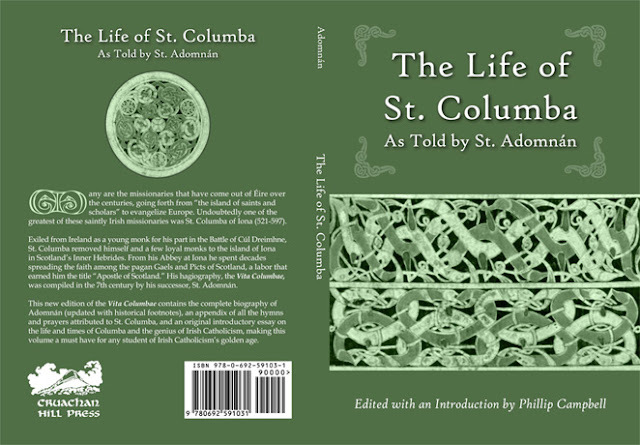 Contains the complete biography of Adomnán (updated with historical footnotes), an appendix of all the hymns attributed to St. Columba, and a thirty page original introductory essay."